Don’t be alarmed — no, it’s not Monday. Although PlayStation Plus updates typically kick off the week, we’re trying something new by pulling back the curtain on our Instant Game Collection updates a little early. For September, Resident Evil Chronicles HD Collection is leading the charge, so you can break out your PlayStation Move Controllers (yes, regular controllers work too) and start destroying zombies. Later this month you’ll get the HD-remastered version of iconic PS2 classic ICO, one of Rockstar’s awesome portable versions of Grand Theft Auto (in this case, GTA: Liberty City Stories), Ubisoft’s loveable platformer Rayman Origins for PS Vita and the classic arcade shooter Galaga Legions DX. Remember, these games will hit the Instant Game Collection at various times throughout the month, so check back with us every Monday morning to see all the benefits of your membership. 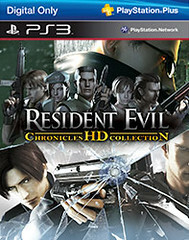 Gear up for the ultimate Resident Evil shooting experience with Resident Evil: Chronicles HD Collection. Use the PlayStation Move Motion Controller or traditional wireless controller to take down hordes of zombies across two full titles, Resident Evil: The Umbrella Chronicles and Resident Evil: The Darkside Chronicles. Relive the events from the original series with classic characters in HD. Explore a massive world with over 100 characters & 12 unique worlds designed for all ages and playing styles. Take on a giant pink monster with hundreds of eyes… a possessed mountainous golem… and more! 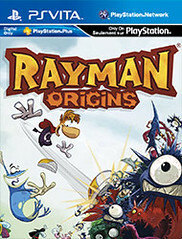 Rayman Origins is a platformer at its core but also features many elements of action, adventure, shooter and beat-’em-up gameplay. 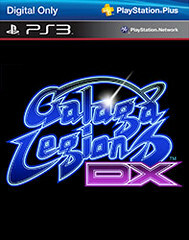 The legendary hit arcade shooter returns with Galaga Legions DX! Featuring a new twist on the classic gameplay, slick new graphics and devastating weapon power-ups, the fate of the galaxy lies in your hands! Board your fighter and prepare to defend Earth from wave after wave of relentless aliens. Target your enemies’ critical weak spots to earn bonuses and rack-up an astronomical score! Blast your way through unique levels and epic boss battles on your mission to defend the galaxy and prevent an intergalactic catastrophe! If you’ve got feedback on today’s Plus update make sure you leave a comment below. If you want to engage with some like-minded people, head over to the PlayStation Community Forums to discuss all things PlayStation, including this update. You’ll also find other topics you can contribute your thoughts to, or start one for yourself. Better than Assassin’s Creed 3. Why did IGN post this first. You guys are slipping. Not bad. No major PS3 games but it’s a good month for Vita. Thanks for listening about the PSP games. Double thumbs up for Resident Evil Chronicles HD Collection. Keep it up. I think this lineup is just OK. I would love some AAA stuff like what Europe has. Very very very excited for Ico and Rayman. I wanted to pick these up last month, but I missed it. Really glad I’m getting them here. Good job guys! 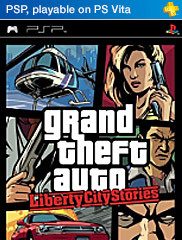 GTA: Liberty City Stories on Vita !!!! @2 Greg got it from Kristine and Colin posted it? idk lol. Good games this month, not a huge standout, but good games all around. Holy crap, this might very well be the best month for PS+ members, EVER! Thank you! I already own all of these games except Resident Evil. Glad the Vita is getting more love this time around. Great update for another month of Plus. WOW, great line up. My GF loves zombies so we are going to have a blast with RE: HD Chronicles. And my Vita is going to love Rayman! I’ve been wanting that game for so long! Great job PS Team! These are amazing games to add to the games collection! Keep it up! This is the best PS+ update for Vita since the November launch. I’ve already got Rayman Origins, but my brother gets to keep my physical copy now. Argh! I just learned my lesson again. Almost every single time I get a game that is on sale with plus one month, it’s free the very next month. I just got Rayman last week lol! Oh well, decent month for plus, but I am sad that EU gets AC3 and we don’t, I was really looking forward to trying that game out. Nice additions to ICG. Much better than last month. Good stuff. I hope you guys did something with the Video Unlimited. It would be nice to get some discounts on movies too. A combo : PS Plus + Music Unlimited + Video Unlimited Discounts. This is the first psp tittle I’m excited for in the instant collection thanks! could you guys make your network a better? millions dont mind paying $60 a year for XBL cause they network is amazing. Decent offering this month, and thanks for posting it way ahead of the Monday schedule. But no poll this time? Glad to see a GTA game for free. I just wish it was GTA IV Complete Edition instead of a PSP game I already own, but I still appreciate it. Rayman Origins was awesome, even though I rented, beat, and returned it already, I will definitely grab it and play through some of my favorite levels again. 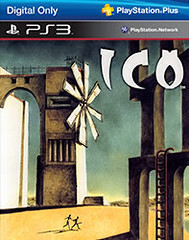 I actually have never played Ico, so I’m looking forward to that. Also, could you please add Metal Gear Solid Portable Ops to the Vita store? I don’t really understand how people are saying this is one of, if not the best PS+ month. Possibly from a portable standpoint it is but I don’t play that stuff and we don’t even get a top tier PS3 game like Hitman Absolution. Which was a long and fun game. You guys deliberately suckered people into buying Rayman Origins at a big discount last month knowing perfectly well you’d be offering it free this month… in Europe, it was offered free without such mind games months prior. Pretty disgusted at the moment. Thanks for the feedback. If you feel strongly about this and it affected you, please contacat Customer Service as they can review these issues on a case by case basis. Not that excited about this month. Rayman Origins is definitely the best option, but I was really hoping for a stronger AAA PS3 title. How about Castlevania: LoS, Prince of Persia, or AC3? I love the early update. Possibly having the month overview on the Friday before the first week but then having the weekly showings still on Tuesday would be cool in my opinion. Anyways I wanted to know if the ICO HD is just that or if it is supposed to come with Shadow of the Colossus like EU got a few monthes ago. I would like to try it as well. I love this month! It’s very rare that the entire lineup consists of games I don’t own, and all games I see myself getting enjoyment out of. Really solid month. How about Arkham Asylum or City for October? I’d really like to play one of them again before Arkham Origins. BTW, thanks for the early update. I like receiving it now instead of the day before. Such a great game. I played it for the first time on PS3 and was blown away. Hope those who haven’t had a chance to play it give ut a shot. I think the timing for announcing the monthly outlook is perfect this way. I don’t need to know weeks in advance like EU but we also don’t have to wait until the day before the first update either. EU by the way gets Assassin’s Creed III, Jak & Daxter Trilogy, Stealth inc and Urban Trial Freestyle. And EU the got Ico AND Shadow of Colossus last month. Hotline Miami would be a great choice for the Vita IGC. I hope you guys add that one at some point. PS+ just keeps getting worse in North America, but better in Europe. The last good month was June. Also are there any chance that we may see NFS Most Wanted, the Jak and Daxter collection, the Unfinished Swan, or Tomb Raider have a chance of being a part of Plus in the coming months since i am sure most games may be already in place for the next few months? Finally! Thank you PS PLUS TEAM! You guys finally convinced me to resubscribe! The past months have been horrible, but your finally cleaning your act up! Great month coming up!